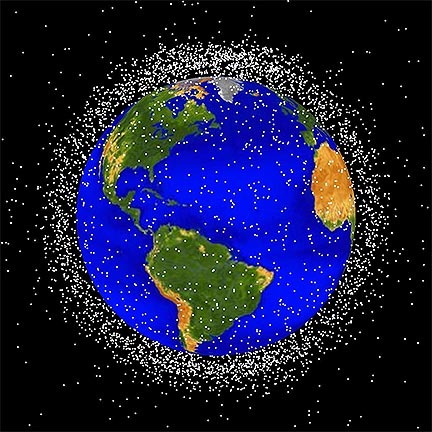 Space Missions: the ultimate disposable packaging? I love the space program, having grown up steeped in it. 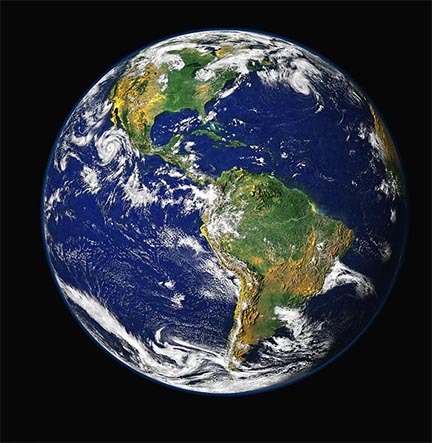 (Those of you who know me, know it’s “in my blood.”) But it occurs to me on this anniversary of the Apollo 8 mission – and the Blue Marble photo* that has been credited with increasing our environmental awareness of the Earth’s fragility and loneliness in space – that space missions are an unintentional analogue for our methods of manufacturing and consumption. 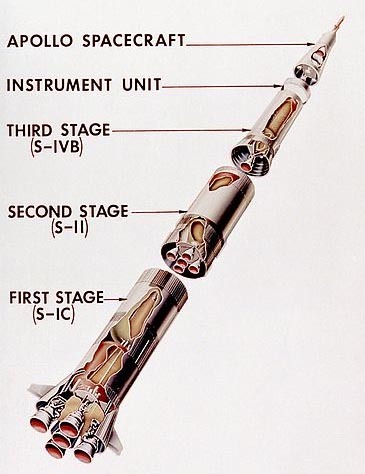 Mere minutes after launch, the majority of the “stack,” as the Apollo capsule and lander sections combined with the Saturn 5 rocket were called, was ditched into the sea after the stages of the rocket had done their work — a lot like the packaging that many of our products arrive in: used briefly and thrown out after shipping is complete. Saturn 5 First Stage separation. Image: Wikimedia. 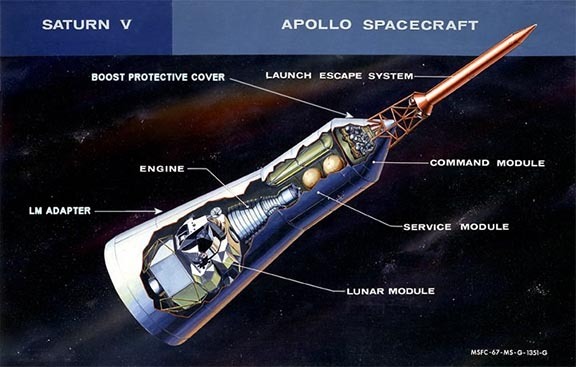 The Apollo components of the stack were encased in a protective housing for launch. Inside it were the Command Module, the Service Module and the Lunar Module. Think of it as that little packet of critical parts that comes inside the Ikea package. 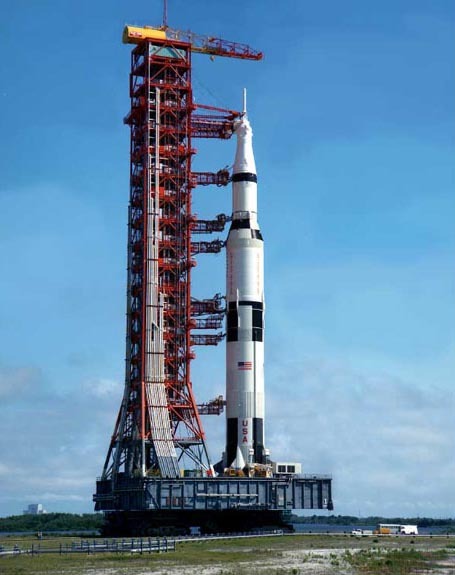 The housing was left in Earth orbit and the modules rearranged for transit to the Moon. 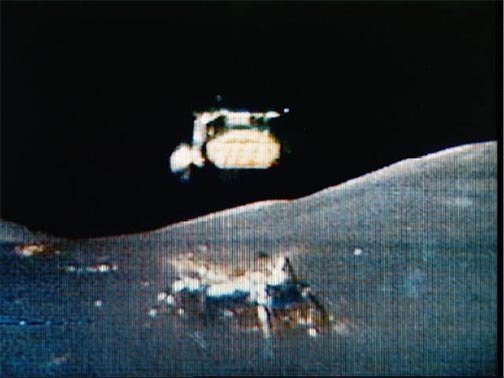 The Ascent Stage, meanwhile, was abandoned after the two astronauts transferred back to the Command Module. (Except in the case of Apollo 13, where it served as the survival craft.) 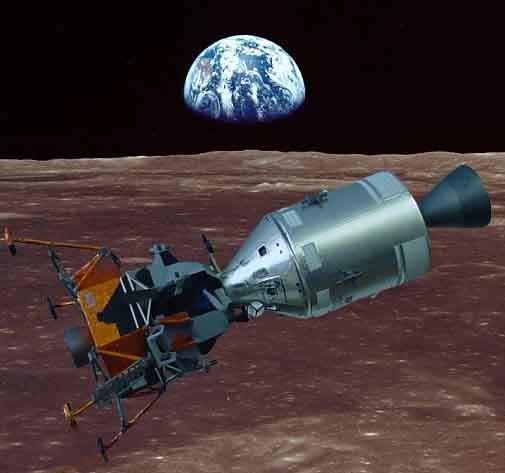 Lunar Modules were then either sent into solar orbit or crashed into the Moon, and only the Command and Service Modules remained for the transit back to the Earth. Finally, when the crew prepared to re-enter the Earth’s atmosphere, the Service Module was jettisoned and all that remained and returned to the Earth was the tiny Command Module. 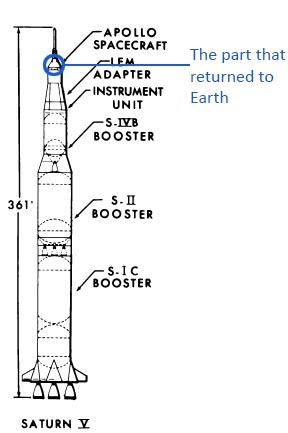 If you want to look at this in an even more extreme sense, you could think of the whole thing, from the Saturn 5 booster stages down to and including the Command Module, as packaging for the round trip of three people to the Moon and back. Almost makes you see that UPS package, the one that contained a single Christmas tree ornament within a gallon of foam peanuts in a shroud of cardboard bound together with plastic packing tape, as efficient. More relevant to my somewhat dramatic point, though, is the comparison to our modern industrial manufacturing methods combined with our often non-essential consumption of short-lived products: the processes by which raw materials are crudely excavated out of the Earth, then subjected to “heating, beating and treating” involving energy and more materials to transform them into a product that may be used for only a brief period before being discarded itself. 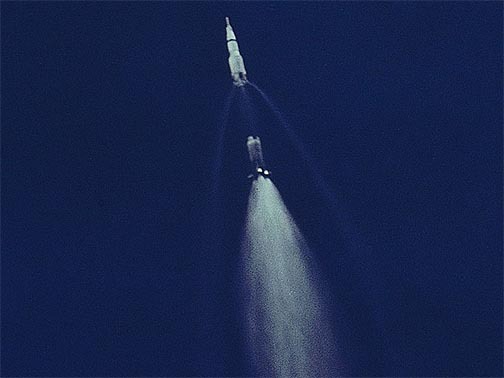 The difference — because I don’t want to equate the Apollo program with a disposable razor blade — is that the space program yielded immense amounts of knowledge while embodying the optimistic nature of humanity. The products in our landfills and in the recesses of our closets and garages, and the industrial waste created along the way, do neither. They may seem optimistic in their moment of purchase – that brief sense of happiness and fulfillment we get from, say, that new cellphone, before it becomes old hat and we want a newer one – but they aren’t actually optimistic, let alone EcoOptimistic, in their legacy. This entry was posted in Uncategorized and tagged consumption, happiness on December 23, 2013 by David Bergman. It’s also worth noting that the holy grail of spaceflight is reuseability- Elon Musk (of Tesla/SolarCity fame) has spoken a great deal about developing reuseable launch vehicles via his rocket company, SpaceX. And while it’s been tried before (the Space Shuttle originated as such an attempt), it will be interesting to see if Musk (or someone else) can pull it off- in addition to being tremendously less wasteful of resources, it could also make spaceflight more accesible to the public at large. And that could be the next step in the comparison with earthbound products: that everything should be reusable and closed-loop.